Rumors are flying fast and furious about Assembly Bill 5, a proposed amendment to the Stull Act offered by San Fernando Valley Assemblyman Felipe Fuentes. 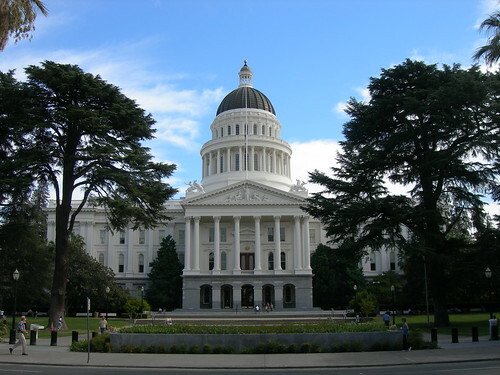 The latest word from EdSource is that AB 5 is being revised slightly to try and mollify opponents and also to help make the state eligible for a No Child Left Behind waiver (see: Fuentes agrees to compromises on AB 5: Are they enough?). If approved, the amended bill could go back to the State Senate education committee early next week. But it’s not clear that’s going to happen without further changes. Romero, EdVoice and other education reformers are still strongly opposed to the law — as is LAUSD’s John Deasy. What is AB 5? Why do ed reform groups, not to mention Deasy, hate it so much? And what is Fuentes offering to change? The back story goes all the way back to the 1971 Stull Act, which mandates that teachers (and other accredited employees) in California be evaluated by objective criteria, including pupil progress. In almost every interpretation, that boils down to one thing: test scores. Flash forward to 2011, when a group of anonymous parents and students teamed up with Ed Voice to sue LAUSD on the grounds that it was not enforcing the Stull Act, since it wasn’t using pupil progress to evaluate teachers or principals. The suit was called Doe v. Deasy, the irony being that the named defendant, Superintendent John Deasy, actually agreed with the plaintiffs. A judge recently ruled that the district was in fact not adhering to the Stull Act, and he ordered LAUSD and the unions to come up with a new evaluation system that would satisfy the law by December 4. Which brings us to AB 5. Sponsored by Fuentes, the bill would essentially re-write the Stull Act. The “pupil progress” section would be obliterated, replaced with what the bill calls a “best practices teacher evaluation system.” The bill goes on to list the many attributes “best practices” would include, but the short of it is that teachers would be evaluated on what they do in the classrooms, as opposed to how their students perform. On Wednesday, Ed Voice took out a full-page ad in the LA Times blasting Fuentes’ proposal: “AB 5 guts objective accountability of adult job performance in schools just as voters are being asked to invest more in education.” A number of other ed reform groups are lobbying against the bill, including Educators 4 Excellence, Students First and Alliance for a Better Community. When I spoke with Superintendent Deasy last week, he said he found the timing of the Fuentes bill, coming so soon after the judge’s order in Doe v. Deasy, “unusual.” He also expressed dismay that the bill is funded by $89 million out of the Quality Education Investment Act, or QEIA, which provides money to low-income, low performing schools in order lower class size. That bill was the product of heavy lobbying from, yes, the CTA. “All sides of the issues agree that the QEIA funds are important and not something we should be cutting,” says Evan Stone, co-founder and co-CEO of Educators 4 Excellence. According to a document sent to us by Ed Voice, the QEIA cuts would weigh heavily on LAUSD. District schools stand to lose a total of $30 million if AB 5 passes. Bell Senior High, for example, would lose $1.1 million, while John Adams Middle School would lose $300,00. SI&A has helpful links to the Fuentes proposal and the recent changes he’s offered (see: Student scores at heart of new teacher ratings nationally). The Senate has until August 31, the last day of the legislative session, to do something about AB 5.